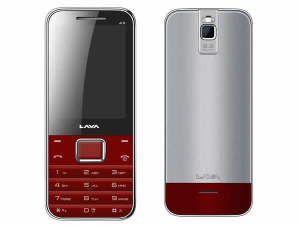 Lava international mobile brand had launched Lava A9 mobile in India with the price tag of Rs. 5999/- and its equipped with the excellent multimedia quality features and new technologies, has a sudden forcible entry into telephone market and having a capability to stand out of mass...... Also Lava A9 is equipped with many features and applications, where as it comes with 2.4 inches TFT display, 3.2 mega pixel camera, Java embedded games, mp3 player, web access facility and advanced connectivity for web applications like nimbuzz and opera mini. The keypad is excellent and very smooth and easy to dial a number and to type the sms or mail.